There are two battle tanks - the M5A1 (Stuart) and the M3 (Lee) displayed by the Madras Engineer Group (MEG) center, near Halasuru Lake. In the 1780s, the Madras Engineer Group, helped the East India Company win battles for supremacy in the Carnatic (Southern India). They also served in the Afghan wars, World War I and World War II as a part of the British Army. In World War II the MEG soldiers were deployed in North Africa by the British, to fight against the advance of Nazi Germany. Interestingly, during the time of WWII when India was still the "Jewel in the Crown" of the British, there was a raging political debate on India's help to the British against Nazi Germany. While the then Congress under M.K. Gandhi did not want India to help the British during the war (read more...), Aurobindo Ghose, who was the President of the Congress during the time of the division of Bengal (1905), and by this time (1944), a Mahayogi and more popularly known as Sri Aurobindo, advised India to side with the British against Hitler's Nazi Germany. His contention was that Hitler's Germany was much more dangerous than the British under Winston Churchill - so it would not be right to not help Britain against Germany in Britain's hour of crisis. Moreover, a bargain could be made for quick independence with unity by going open with support to a willing Britain, who sent Cripps to negotiate this in 1942. Though independence was not a stated objective, but was on the table on the condition that it will be done once the war ended. Alas! the Congress Party at this time could not see the opportunity that it was to have an undivided independent India. The Congress ended up rejecting the open support to Britain for narrow reasons and ended up with, not only a delayed independence but also a divided India. The British anyway used the Indian military contingents under their command to fight against Germany in various sectors including North Africa where the Nazi juggernaut was the strongest. Over 87,000, Indian soldiers died with valor fighting for the British, officially unrecognized by the political setup in pre-independent India of which the Congress Party was the only component at the time. It is an irony that the British wanted to eliminate Aurobindo Ghose in the 1900s by imposing a false bombing case (The Alipore bomb case) on him. They had even jailed him in Kala Pani for a year before he was set free. Aurobindo Ghose at the time, took to yoga and settled in Pondicherry (French India) later. Lord Minto went to the extent of saying "I can only repeat... that he is the most dangerous man we now have to reckon with." Refer this. Incidentally, the Sri Aurobindo Bhawan is also located on the other side of Halasuru Lake. The M51A (Stuart) is a reminder of The Madras Engineering Group’s participation in the World War II. The battle tank display was inaugurated on the eve of MEG’s 225th year celebrations in October 2005. This tank is placed for public viewing at the Halasuru Lake circle, which is also a war memorial for soldiers who fought the 1944 War in North Africa. The second tank on display is an M3 Lee tank near the entrance of the MEG Center. This tank's hull gun has been restored. These tanks usually had a shorter barrel gun on the hull. Tag Cloud: Madras Engineer Group Bangalore, Places to visit near Halasuru (Ulsoor) Bangalore, Sri Aurobindo Bhawan Bangalore, World War II and India, India in WWII, Brief history of India's role in WWII, Sri Aurobindo and the Cripps Mission, Undivided India: A lost opportunity. Copyright 2016-2021: ThinkClickGet. All rights reserved. Halasuru Someshwara Temple, Bangalore is one of the Oldest temple in Bangalore dates back to Chola dynasty and located in the area Ulsoor. According to art historian George Michell, the temple underwent major modifications and additions were made during late Vijayanagara dynasty and during the rule of Hiriya Kempe Gowda II. The temple tower features several beautifully carved sculptures of Hindu gods and goddesses. One of the notable sculpture inside the temple is of Ravana lifting Kailasa Parvata to please Lord Shiva. An interesting story behind the construction of the temple is, Kempe Gowda, founder of Bangalore, while on hunt traveled a long distance from his capital and being tired rested under a tree. In his dreams Lord Someshwara appears to him and tells about a buried treasure near to that place and asks him to build a temple using the treasure. There are few other similar stories which again revolve around dream and treasure. Another Someshwara Temple which also one of the oldest temple in the city is in Old Madivala. The majestic structure of Sri Aurobindo Bhawan near Ulsoor Lake on Gangadhar Chetty Road that runs till the Gurudwara, once belonged to the Rana of Nepal who donated the same to the society in 1973. 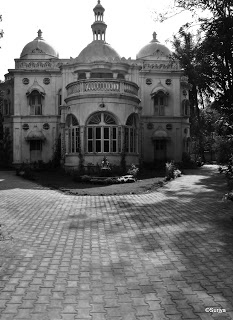 A quiet place to visit, the Bhawan houses meditation rooms, a library and a book sales center on the ground floor. On the first floor there is a display of Sri Aurobindo's life sketch starting from his childhood, being a revolutionary and later spiritual life. 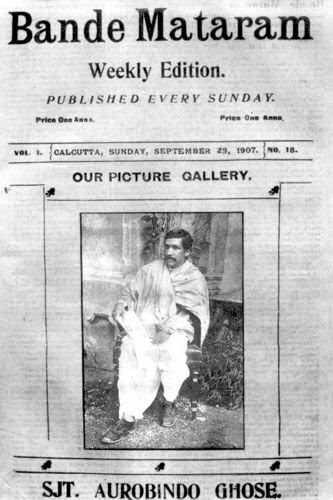 Sri Aurobindo or Aurobindo Ghose was the editor of Bande Mataram. He became the head of the Congress Party and maintained that "complete freedom" was the goal of India's national awakening, a line that no other Congress leader was willing to take fearing prosecution from the British. Later, he was captured by the British on a false pretext and was imprisoned in the Andamans (Kala Pani). During his imprisonment he started his life as a Yogi. After his prison tenure he took up residence in Pondicherry and continued his yoga. He developed "Integral Yoga" and became a Mahayogi. He had a deeply insightful writing and has been the author of many books including the "Life Divine" of which Dr. A.P.J. Abdul Kalam was seen having a copy. The place is a "must visit" for people who want to connect with India's rich history and to know how it feels to "be Indian".
" Liberation of Oneself and Service to Mankind "
This centre was declared an independent centre under the Belur Math from Jan 1st 1999 and was renamed as Ramakrishna Math (earlier known as Vivekananda Ashram), Ulsoor on 16th December 2003. 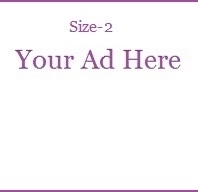 For more information visit its website HERE. Halasuru Lake is situated on the northeastern fringe of the city center, near the busy M. G. Road. The lake was constructed by Kempe Gowda II, during the later half of the second century. 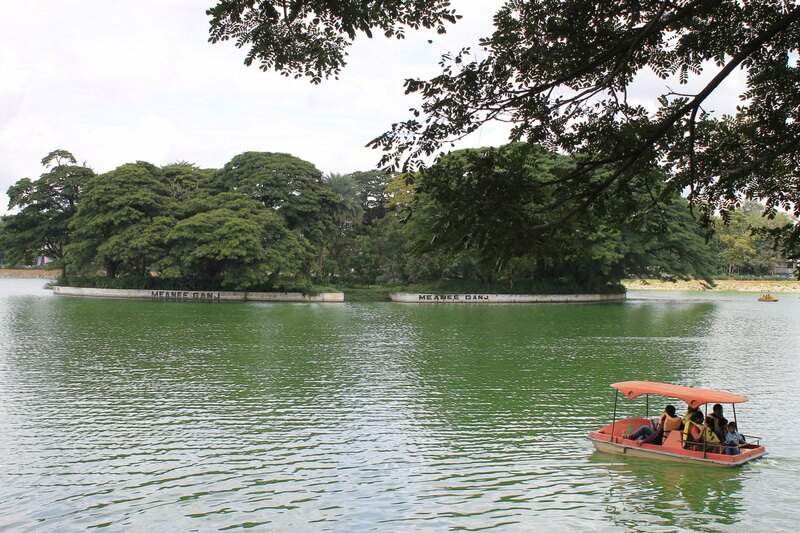 Spread over an area of approximately 1.5 square kilometers, the Ulsoor lake of Bangalore is dotted with islands. One of the major attractions of the lake is boating. There is a boat club at the lake, where you can hire cruises with stopovers at some of the islands. In the earlier times, Halasuru Lake was known as "Halsur" or "Alasur". The lake also serves as the venue for the Ganesha Festival celebrated in August/September. There is a recreational complex situated near the lake, with a swimming pool, where you can go for a swim. There is also a gurdwara near the Ulsoor lake, considered to be the largest Sikh shrine in the Bangalore city of India. The other famous monuments near the lake include a temple dedicated to Subbaraya and the Kensington Park. It is said that the area around the Halasuru Lake was once covered with forest. One day, Kempe Gowda came from Yelahanka chasing game and was very tired. He slept under the same tree where Mandava Rishi is believed to have worshipped God Somesvara. In his dreams, he saw God Somesvara, who told him about a hidden treasure. Kempe Gowda dug up the treasure and from the money, got the famous Somesvara pagoda built in the Dravidian style of architecture. The lake is open to the public between 6am and 8pm except Wednesdays. The closest bus stops to reach the lake include Halasuru, M. G. Road, CMH Road, Halasuru Road and Halasuru Lake stop.